Our session with Claire was supposed to start 15 mins ago. While wondering why she might have been late, I was sitting on my chair enjoying my cup of coffee as I heared a car engine stopped. She must have arrived. Less than a minute, she was there, standing at my office door. C: Hello, Mrs.Smith, I’m late again, I know. I am so sorry. T: Hello Claire, welcome. Tell me what happened? C: I just couldn’t leave the house. I had things to do. T: You had things to do, alright. C: Yes, but, in fact… (hesitating) I must have spent some extra time checking the stove, and the windows, and all the sockets around the house! T: I see. We talked about that you have some obsessions and compulsions before, and that they cause problems in your life. Would you like to talk about this today? About what happened this morning? C: Well. OK. I think we can do that. C: I was ready to leave the house, but I was a little nervous. I always feel nervous when I am supposed to leave the house. It is probably because that I have to make sure that everything is switched off, or plugged out. T: So you were ready. Maybe you had your bag on your shoulder, your jacket in your hand. You were nervous. OK. What did you do? Did you start checking things? T: And do you check things in a fixed order? For example, checking the stove first, and then the coffee machine… ? C: Yes. Yes, I certainly do. T: Alright. Now, let’s try to imagine what happened this morning. You were ready, and nervous. What did you do? What did you check first? C: First, starting with the bedroom, I closed all the windows upstairs. And, then I switch off the laptop in my study room, and checked the sockets to make sure nothing is plugged in. Since I used my curling iron this morning, I put it on the empty floor, making sure that its hot part doesn’t touch anything, especially its own cable, so I placed the cable carefully away from the iron. T: And what might have happen if you didn’t do that? C: Hot iron might have melt the cable and that might have started a fire. T: Oh, I see. And, then? C: Then, I checked the sockets in the kids’ room, and then the ones in my husband’s study room, and then I went downstairs. I closed the windows first in the living room, and next in the dining room, and then, in the kitchen. Then, I went back to the living room and checked the sockets in the living room, and then I did the same in the dining room, and then, I went to the kitchen. T: You’re in the kitchen. How are you feeling? C: I am more nervous. and also I am having obsessions about if I placed the curling iron right. T: I see. Can you continue? C: Yes, so, in the kitchen, I make sure that everything is plugged out. I check the blender, the coffee machine, and the kettle. and next, I check the stove. One, two, three, four. 1-off, 2-off, 3-off, 4-off. Off, off, off, off. OK. It is off. I made sure that all the four knobs are looking at the same direction. OK. I am doing it again just to make sure. OK. I can leave the kitchen now. I am leaving. I will go upstairs and check the iron again. But maybe I should check the stove for one more time. One more time before I go upstairs, I’ll go back to the stove. T: So, you checked the stove, you were leaving, and then you decided to check again. What happened there? T: Did you have a thought just before having turned back to the stove? C: I don’t know. I just thought “what if?”, so I went back. T: What I’d really like to know is that if there were any images on your mind just before you turned back to the kitchen. T: So after you checked all the burners, and made sure that all were off, and you were leaving, you had an image on your mind in which you turned on one of the burners, and next, you thought: “what if I did that? what if I turned it on again?”, and you went back to the stove? C: I checked the burner knobs again. T: At the same order. C: Yes. and then, I wanted to go back to upstairs, but then I had the same obsession again. I thought maybe I should check for one more time. Then, I said to myself “I’ve already checked it again”. But, then I saw that image again in my mind. T: In which you are turning the knob. T: You must have felt quite anxious there… So when you went back to the kitchen in order to check the stove for another time, you actually knew that you did not turn the knob on, so it must have been off. But you went back there anyway because you thought “what if”? C: Yes exactly. I think not checking it for one more time is not worth losing everything, so I just go check it for one more time everytime I have the obsession. T: Well, from this point of view, checking things again and again sounds like a reasonable thing to do, doesn’t it? T: I understand. So you said that you see the image in your mind in which you are turning the burner knob, and then you have this impulse to go check it again. Here, a part of you believes that the image in your mind you turning on the stove might be true. Am I right? C: No, I’ve never done such a th. T: You have never done that but you believe that you would. I wonder why? Why do you think you would do such a thing? C: Actually I thought about this. I asked myself “Why would I do that?”. Then I thought what if I subconsciously I hate my family, and my life and I subconsciously want to destroy everything? or… or what if I don’t deserve this beautiful house, and beautiful life? Or, I am just afraid that I might simply forget checking things (she laughs…) as if that’s possible! T: So I understand that you have some reasons to believe the image in your mind. I understand that. I would definitely talk about these ideas but, first, I’d like to focus on your belief about the image in your mind. You said that you have never done such a thing, but a part of you still thinks that the image in your mind might be true that is If you have an image in your mind turning on the stove, it might be true that you actually did that. Would you like to do an experiment with me to test this belief? C: Are you serious? Of course, it won’t be plugged in! T: Yes, I am. I understand that a part of you believe the image in your mind is true. I think this experiment might help us test it. C: OK. This sounds really silly, but I am gonna do it. T: Are you imagining it? T: OK. Now, open your eyes please, and look at the socket. Is it plugged in? C: No, of course it is not! T: So how much do you believe now seeing an image in your mind plugging the cord into the socket means that you did it? T: It is good that you don’t believe it much right now. When you get home, maybe you can do this little experiment with the stove too. I’d like you to go in front of the stove close your eyes and imagine yourself turning on a burner knob. and then open your eyes and look at it. Do you think you can do this? C: Yes, I think I can. 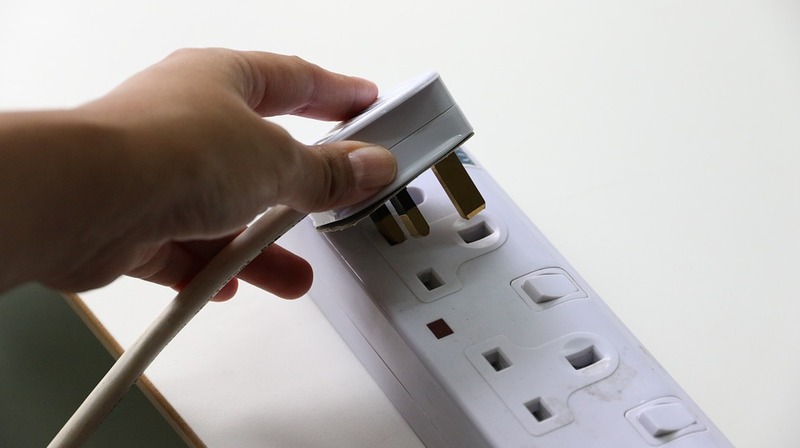 T: Now, if it is convenient for you, let’s work on your thoughts related to why you think you would turn on the stove, or plugged in the electric cord into the socket. You said that you believe you could do it because you might be subconsciously want to burn the house down. Can you tell me what you meant by this? PS: Although the whole story was written by me, I used my professor Turkcapar’s book “Bilişsel Terapi” as a guidance. I added the book in the reference part. Purdon, C., and Clark, D.A. (2005). Overcoming Obsessive Thoughts- How to Gain Control of Your OCD. New Harbinger Publications Inc.
Turkcapar, H. (2015). Bilişsel Terapi, Temel İlkeler ve Uygulama. HYB Basım Yayın, Ankara.